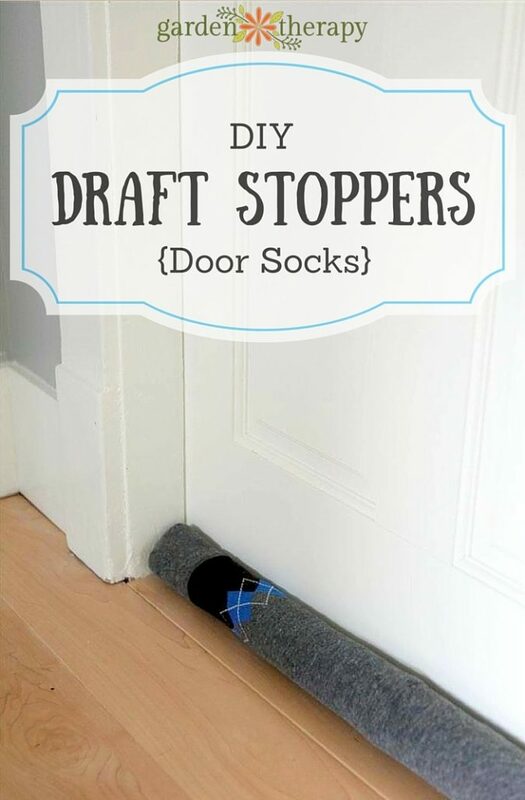 These DIY draft socks are super simple to make, inexpensive, and work well to stop the chilly drafts from under doors or from window sills. Oh, and they are freakin’ adorable too! 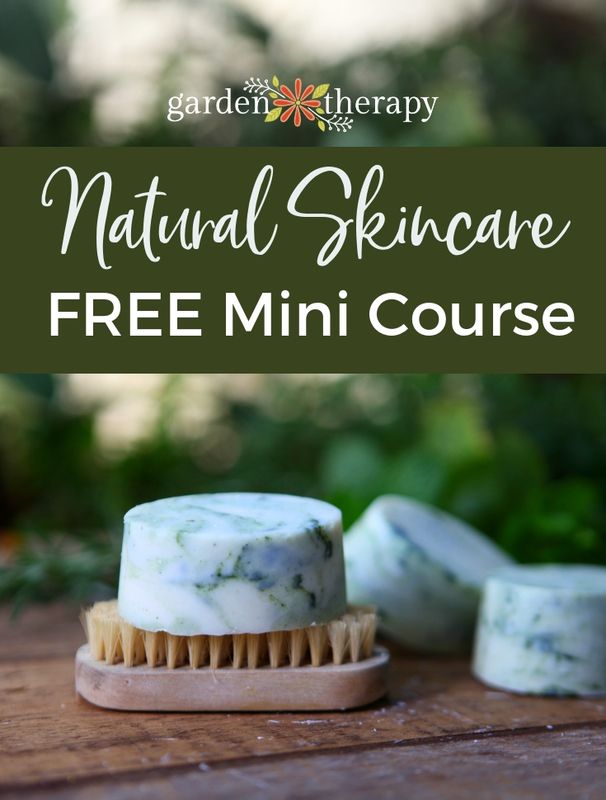 Here’s how to make your own. 1. 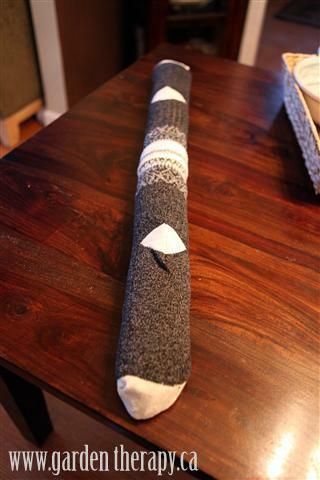 Measure the length of the doorway or window you would like to use the draft sock on. 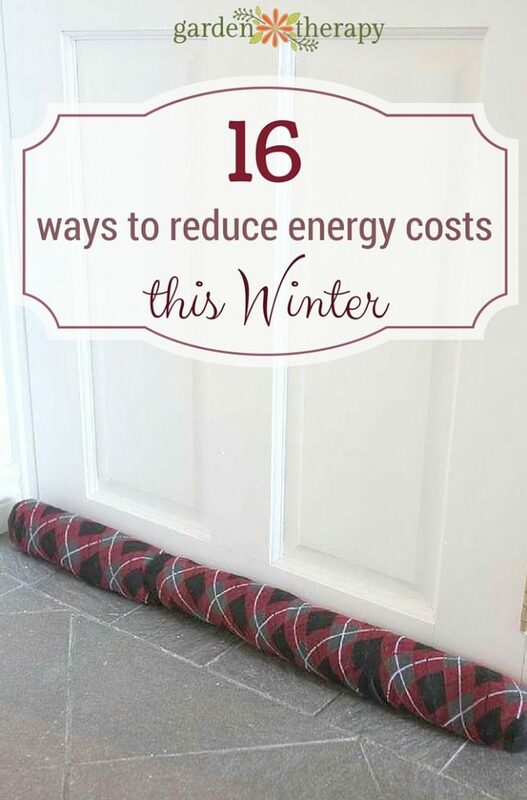 Cut a length of fabric that is 1 inch longer than your measurement and 10 inches wide (you want the sock just slightly longer than the doorway, so it fits in snugly). 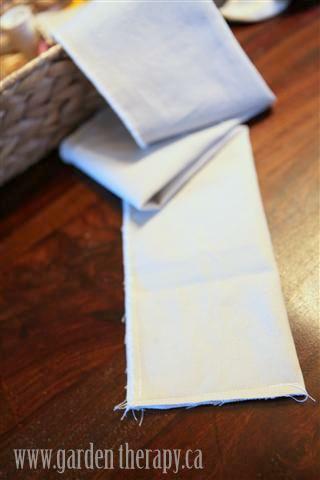 Fold the fabric in half and pin. 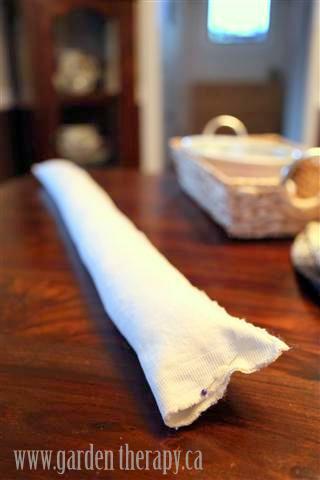 Using your sewing machine or needle and thread sew one end and the length of the fabric so that you have a long tube that is open at one end. 2. Fill tube alternately with dried popcorn and the stuffing you have chosen. 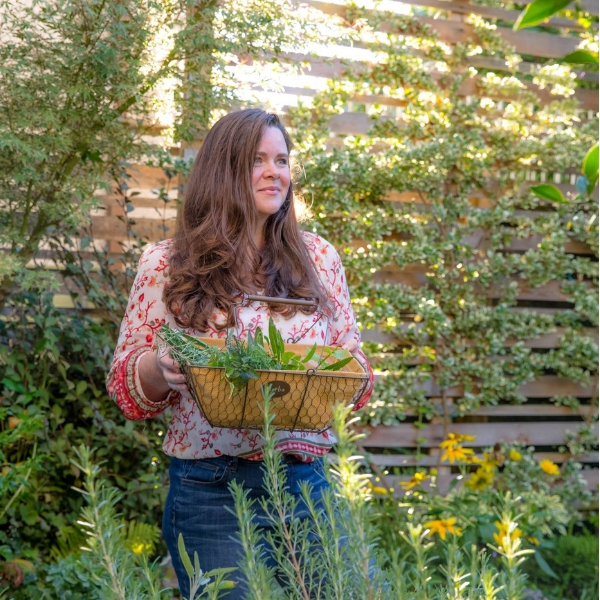 Popcorn is used for weight, but it is also inexpensive and won’t go rancid like some other dried goods. 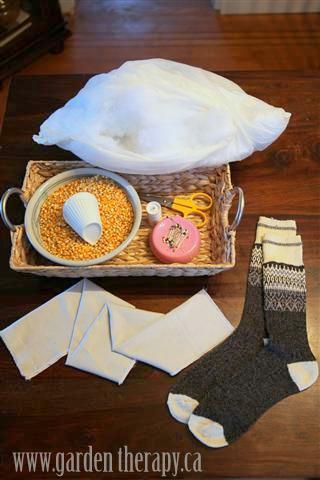 The stuffing helps to give the sock a nice shape and insulates against the cold air. When the tube is really packed full all the way to the end, pin the end and sew it shut. 3. Turn socks inside out and sew the heels straight so that when the sock is covering the tube, the heels don’t protrude. 4. Pull the sock over your hand still inside out. 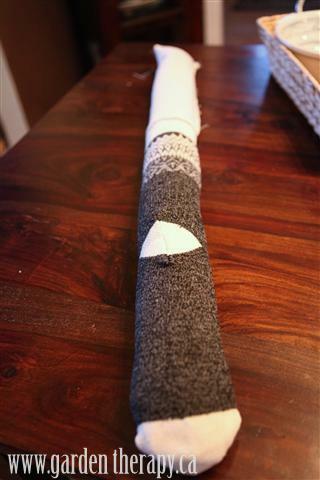 Grab the end of the filled tube with your sock hand and unfold the sock over the tube. 5. 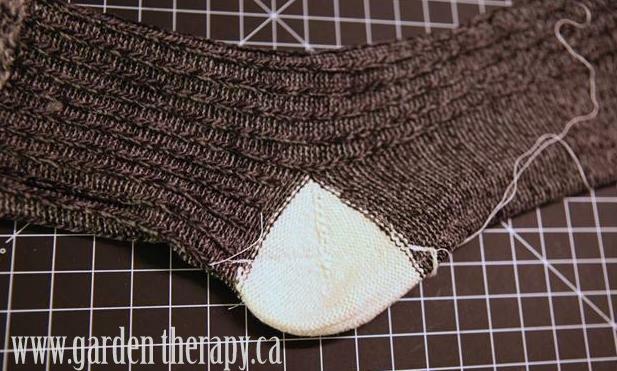 Add the second sock of the pair to the other end, and overlap the first sock. That’s it! 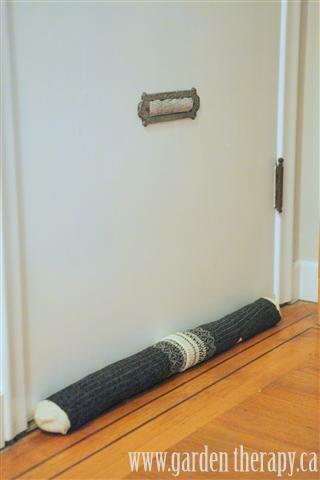 An easy, cheap, effective, and stylish door sock in no time at all.